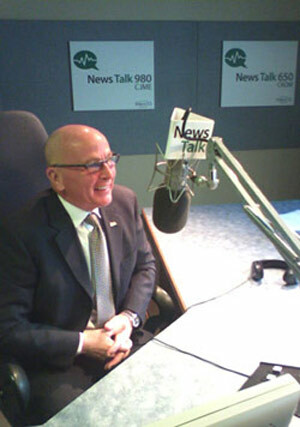 Inside Real Estate Radio Talk Show with Irv Tremblay is a ground breaking show that can be heard every Saturday morning on News Talk 980 at 11:00 a.m.. Spend a half hour going inside my industry, the business of buying and selling homes in Regina. Century 21's #1 team in Regina and Saskatchewan for 2014 (based on Century 21 Canada stats for 2014), I will help you learn how the business works and how to make it work to your advantage. Before you consider buying or selling, you should listen to my show. Each show features my up to date, current analysis of our market, how to capitalize on these conditions to help you buy the house of your dreams or to put the most money in your pocket when selling. I like to keep the show interesting by telling fascinating success stories about how Regina buyers were able to win in this competitive environment and how Regina sellers were able to achieve success beyond their dreams. Whether you are looking to buy, sell or even if you are a real estate agent looking for some solid advice, let me open the door and take you Inside Real Estate, Satudays on News Talk Radio.